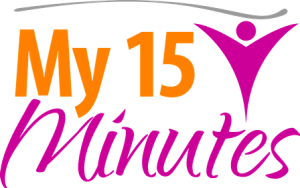 We are thrilled to have you on board, once again, for the My 15 Minutes program – we hope you’re as excited about it as we are and we can't wait to get started on encouraging achievable slices of progress, each day, every day, for 90 days 'til we're done! Keep an eye on your inbox in the week before the program kicks-off, as we'll be sending our pre-course starter kit designed to get you in the mood for getting things done. The pre-learning pack is bulging with optional tools and tips to set you up for maximum success with the program. If you aren't already part of our private Facebook group, you can request to join it here. Although it's an optional part of the program, the group is a great place to go in and chat about your plans for the course, what you’re hoping to achieve through My 15 Minutes and how we can help create the best mindset to get things done! Many program members use this group forum to share their experiences, learnings and challenges, and are really enjoying the community vibe in our group. Thank you for purchasing a copy of our new book, I Don't Have Time - 15-minute ways to shape a life you love. Your transaction has been completed and a receipt for your purchase has been emailed to you.